Our democracy depends on the talents and efforts of those relatively few journalists, commentators and outlets willing to challenge the status quo. Their work allows us to challenge the limits to political debate in New Zealand. 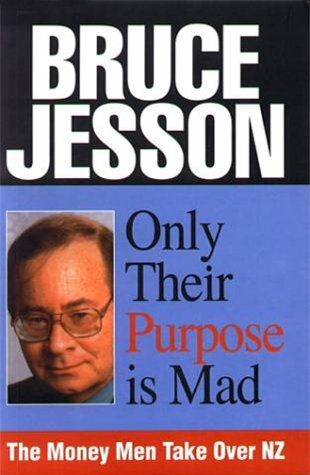 Bruce Jesson was one of New Zealand’s great thinkers, a social critic whose writing put the establishment and the then new breed of ’money men’ under the microscope as New Zealand went through convulsive change in the 1980s and 1990s. Yet Bruce was also welcome in board rooms and around council tables. His fine mind, his pragmatism and his collegial attitude endeared him to business leaders and politicians, even if he couldn’t be persuaded to credulously follow their short-sighted and sometimes damaging policies. When he died the Bruce Jesson Foundation was established to celebrate his legacy and to promote activities that would generate critical, informed, analytical and creative contributions to political debate in New Zealand and about New Zealand. In these days of weak traditional media this task is ever more critical. That’s why we are inviting you to join us in helping apply intelligence where there is tabloidism, informed analysis where there is bigotry, reason where there is sensationalism, and substance where there is shallow, lazy thinking. It’s critical that high quality journalism endures. We make grants every year to journalists who need support to undertake brave and important work, and awards to promising journalism students who are the profession’s future. But, apart from royalties from a book of Bruce Jesson’s collected articles, the trust has always depended on donations. In the last few years those donations, at our annual lecture and otherwise, have barely covered the $4000 a year in journalism grants and awards (our accounts are available on the Charities Commission web site). We have used up most of the reserves that we built up in earlier years and we now need to develop a more sustainable system of ongoing donations that can keep the grants and awards going at least at their current level, and preferably increase them. To continue and expand the Foundation’s activities your support is crucial. Without it our ongoing work is in jeopardy. By contributing to the Bruce Jesson Foundation you will help us continue our efforts. Small contributions are very welcome, especially regular ones. The 16th round of the Trans-Pacific Partnership negotiations will be held in Auckland from 3-12 December, presumably at Sky City as that was the venue of the December 2010 round.